Shimano 105 is the workhorse of groupsets, doing it all, day in and day out - just like the Avant M30 will for you. Outfitted with the aforementioned 5800 drivetrain, the M30 is built on the competitive Avant OME frame, one designed to take it all in, from a spin to the coffee shop to six-hour days with wide 11-speed gearing. We designed the Avant for the rider whose cycling experiences go far beyond the summer race course. A bike fit that reduces fatigue and is designed to go the distance is perfect for the biggest challenges – Gran fondos, dirt road epics and marathon events. Do it all and then some on the Avant M30. 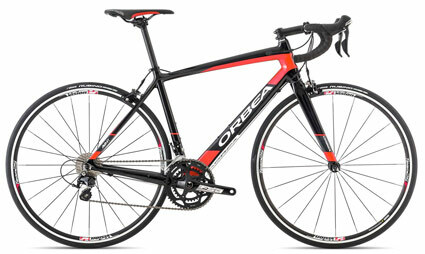 FORK Orbea Avant OME carbon fork, full carbon steerer, tapered 1-1/8" - 1,5", carbon dropouts.